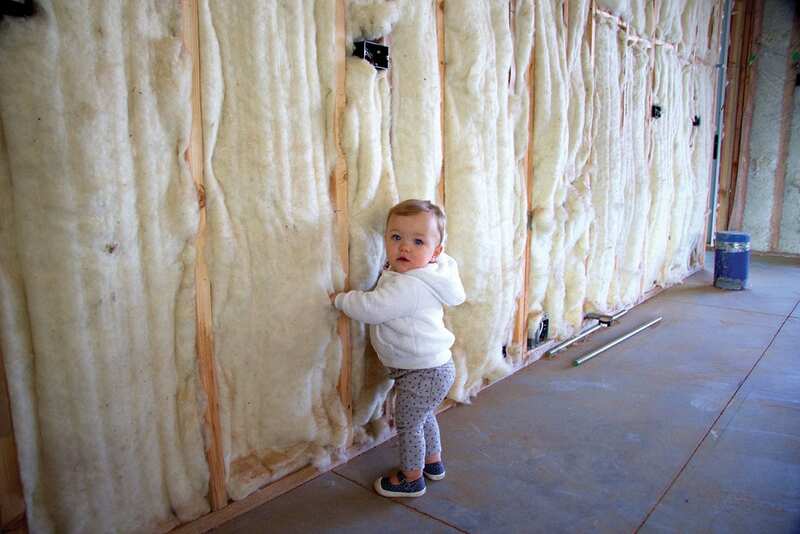 At first glance, the photo is unsettling: A child inside a newly constructed home, not just playing near insulation, but sticking her arms inside of it. For Andrew Legge, founder of Sparks, Nevada–based Havelock Wool, the image encapsulates what sets his product apart from the rest. After all, Havelock Wool’s “stuff” is 100 percent natural sheep wool. Specifically, it’s wool sourced from the bellies of sheep that roam the rolling hills of New Zealand—endless flocks of white flecked across a green expanse like a painting that never ends. Legge loves New Zealand. For more than a decade, the New Jersey native and current Truckee resident has spent significant time voyaging through the small island country southeast of Australia. Five years ago, Legge, who has a background in finance, decided he wanted to do more than just vacation in Kiwi country. “I had been doing a lot of research on small-business opportunities in New Zealand because I love the place,” says Legge, who also owns a vacation home there. During his travels to New Zealand, Legge met a group of people who were aspiring to import wool insulation to the United States. Builders, Legge discovered, were using wool as noise and thermal insulation on a small scale in New Zealand. Legge was intrigued. So he began researching the insulation market in the United States, the characteristics of wool and the dynamics of bringing the product across the pond. Wool, however, checks all of the boxes. Renewable. Sustainable. Compostable. Non-flammable. Wool is all of these things, Legge says. What’s more, wool doesn’t skimp on its primary purpose—insulating. Legge says the same is not true for other insulations such as fiberglass, cellulose and spray foam, which Legge found have vast drawbacks, like breaking down over time and molding if exposed to too much moisture. Fact is, those insulation products are composed of chemicals that require masks and protective clothing during installation. Wool doesn’t. This is one of the many reasons why builders like Dan Fraiman of Truckee pushes Havelock Wool on his clients who are shopping for insulation. 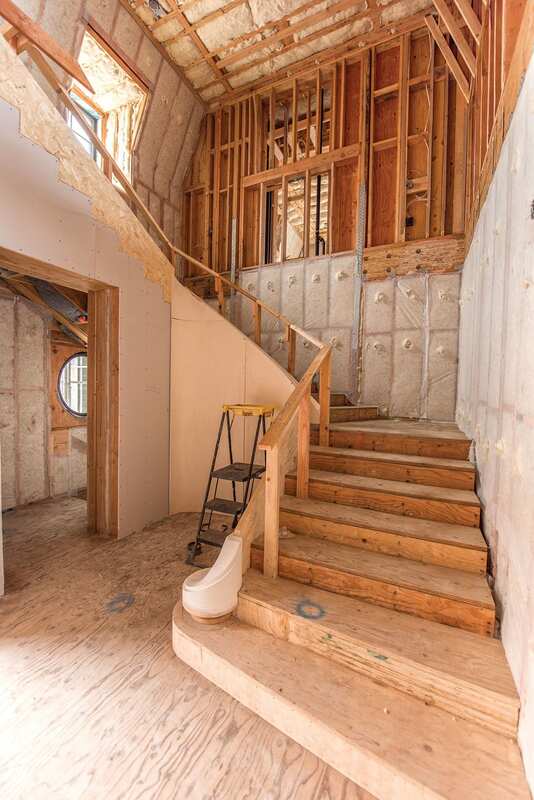 “If you ever watch guys insulate a house and they have spray foam, everyone has a mask on,” says Fraiman, owner of Daniel Fraiman Construction, which specializes in high-end homes. “That’s pretty toxic stuff. That’s what’s in between people’s walls. All of these are revelations Legge discovered while studying up on wool’s strengths as insulation. And so, in October 2013, Legge founded Havelock Wool with help from his business partner, Steve Gabriel, a resident of Newport Beach, California, and fellow frequenter of New Zealand. 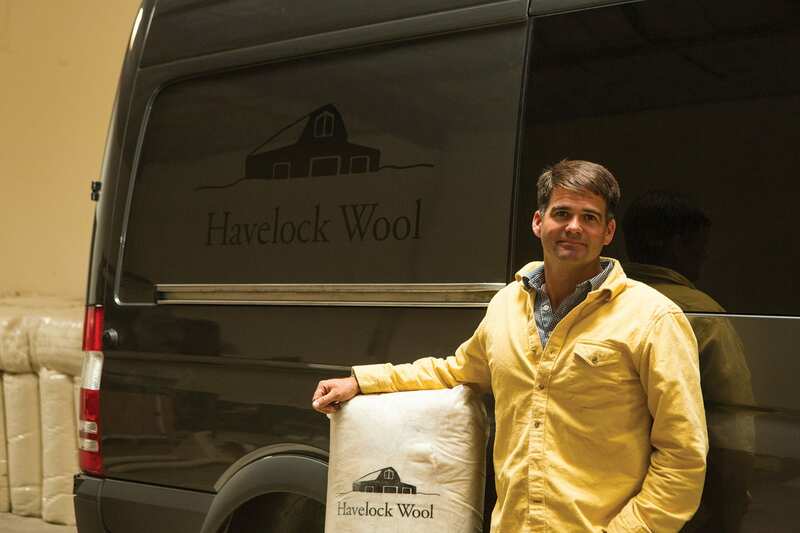 Due to its proximity to Tahoe and the West Coast, as well as the climate of the region’s economy, Legge and Gabriel decided to stake Havelock Wool’s flag in Sparks. By June 2014, Havelock Wool had its first product, bags of loose-fill insulation to be blown into walls, ready for sale. A year and a half later, in late 2015, the company started producing batts of insulation, generally cut at 48 inches. 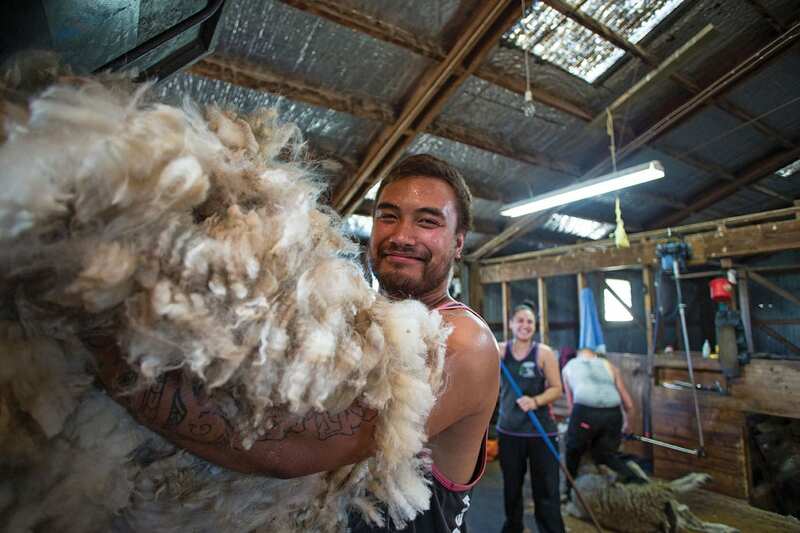 It’s no secret: Wool has been covering and keeping sheep—and humans—warm for centuries. A fact that isn’t widely known: Over that span, wool continually adapts to the changing climates. All the while, Legge says, the amino acids in wool “naturally bond and trap harmful chemicals,” such as formaldehyde, nitrogen oxide and sulfur dioxide. “There’s nothing else you can buy that will do that for your house as an insulation,” Legge says. “So from our perspective, you’re getting the moisture management that you need, and you’re getting the absorption of those harmful chemicals. There’s a problem, though. Most homeowners “don’t do their homework,” Legge says. On top of that, the average consumer is concerned about the price, not the out-of-sight, out-of-mind materials layered inside their walls. “The only challenge that we face is cost,” Legge says, explaining that Havelock Wool’s product is about two to three times more expensive than the most common forms of insulation. Legge says insulation typically makes up 1.8 percent of construction costs. Further illustrating his point, Legge likens Havelock Wool to Whole Foods. He feels that, eventually, the organic grocery shopper’s healthy habits will transfer from inside the pantry and fridge to inside the walls they inhabit. “We talk about farm to walls,” Legge says. “We’re for the people who are starting to pay more attention to their health. Now, all the Whole Food shoppers, they’re not thinking about their materials in their surroundings… but it’s coming. And when they do, they’re not going to buy any other stuff [than wool]. As for why Havelock Wool continues to source its product from New Zealand and not the United States, Legge says the wool there is some of the finest quality in the world. In addition, the Kiwis are adept at cleaning wool, while their animal welfare is managed with a zero-tolerance policy, among other factors. Kaleb M. Roedel is a Reno-based writer. According to a study from the Harvard School of Public Health (HSPH), there’s a direct connection between cognitive function and material surroundings. Specifically, researchers examined people’s experiences during their workdays in “green” versus “non-green” buildings. The study found that the better the air quality, the better the cognitive function performance—in other words, productivity—of workers. Attuned to this study, Havelock Wool felt compelled to help improve air quality in the spaces where people’s cognitive function is fostered—school. “We’re taking it a step further and saying, if this is true in the workplace, let’s get it in the classroom, because it’s even more important there,” Legge says. With that, Havelock Wool, along with 475 High Performance Building Supply in New York, launched “Smarts Walls for Smart Kids.” The project entails the installation of airtight, vapor-open barriers and wool insulation in classrooms. “The point is, it’s a wall that can breathe,” Legge says. Havelock Wool and 475 High Performance Building Supply kicked off their initiative with the installation of smart walls at Vincent Academy in Oakland, California. Visit havelockwool.com or foursevenfive.com to learn more about Smart Walls for Smart Kids.